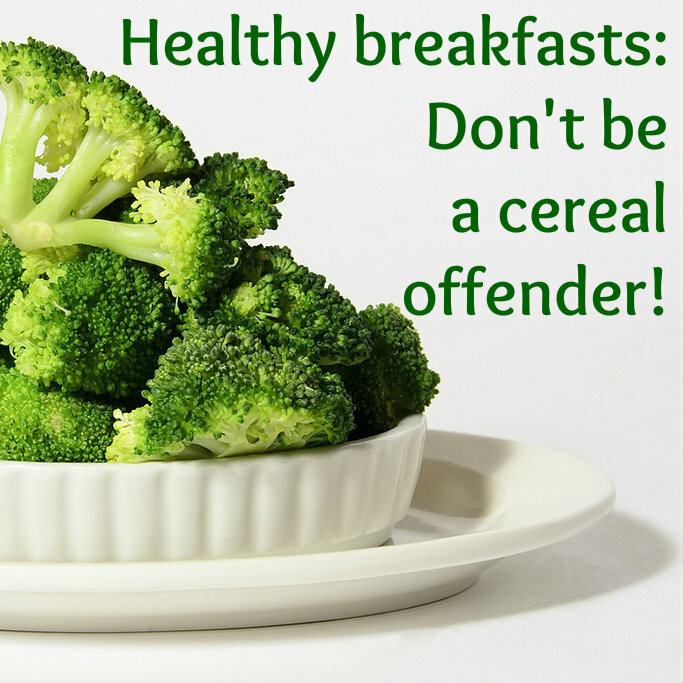 Healthy breakfasts: Don’t be a cereal offender! Anyone who has ever had to clean a stuck-on, dried-out, dirty cereal bowl will understand why we don’t eat cereals with milk in our house. Apart from being messy to clean up, cereals are also expensive, and not particularly healthy. Some are ridiculously high in sugar. I don’t think they’re good for our health or our budget. We’ve moved back to older, basic breakfasts that people ate traditionally, before Mr Kellogg started selling his corn flakes a century ago. We’re also trying some foods that have never been a part of a traditional breakfast, at least as far as I can tell! So I’d like to share with you some great breakfast ideas all of which I think are better options for families. All are budget-friendly, and easy to prepare. Because life should be an adventure. And that includes breakfast! Eggs. Two eggs per person, cooked any way. Add some toast if you want. You’re done! My son likes soft boiled eggs and soldiers, while I like my eggs poached (you can poach in the microwave in a mug of water) with a little table salt for flavour. Eggs are also great as omelettes, or scrambled on toast. Vegetable tacos. Why not? Tortillas with cheese, cucumber and tomatoes in winter, plus a dash of salsa. In winter, we replace the cucumber and tomatoes with carrots, broccoli and fried onion. Yum! Toast. My kids like toast for breakfast. My daughter has strawberry jam, my son has chocolate spread. I like vegemite. We keep our spreads limited to one choice per person – any more, and they’ll start cluttering up your pantry. Feel like something different? Try someone else’s choice for a change! Porridge. The old-fashioned stand-by. Warming, filling and economical, there’s nothing better than a hot bowl of porridge on a cold winter morning. Milkshakes! Breakfast doesn’t have to be solid food. Sometimes we like to just make up chocolate milkshakes and go. Add a scoop of protein powder or psyllium husk if you feel you need more bulk added. Green veggies. I cook frozen spinach in a pan with some garlic salt and pepper. It’s delicious, and a really easy way to get my greens right at the start of the day. Green veggies are a great accompaniment to eggs too! Other options for hitting the green in the morning are broccoli florets steamed in the microwave with a teaspoon of sweet chilli sauce, or cucumber wedges raw, cold and fresh out the fridge in summertime. Pancakes. Pancakes on a Sunday morning are one of our family’s traditions. Make them a tradition for your family too. You’ll find my pancake recipe at the bottom of this page. Pancakes are cheap and quick, and they fill my kids up until mid-afternoon. Soup. Soup is a great breakfast food. We keep a stock of tinned soups to hand, and I also make soups from scratch and freeze them into portions. Either option works, and both are great for breakfast with some toast to dip. Fruit. You can’t beat an apple or two for a portable, easy breakfast. Bananas and mandarins are great too. Greek yoghurt with scroggin or trailmix. I like to put a spoonful of dry scroggin or trailmix into my fresh Greek yoghurt. The combination of textures and flavours is lovely, filling, and perfect to start the day. Last night’s leftovers. We commonly eat last night’s leftovers for breakfast. Leftover pizza is my favourite. Yummmmm! What’s your favourite non-cereal breakfast? If you’ve tried something new and wonderful, or you eat something comforting and traditional, let me know in the comments! Put frypan on medium heat and spray with oil. While pan is heating, combine sugar, plain flour and self raising flour in a large bowl. Add milk gradually, stirring to a smooth paste. Crack eggs into mixture, and stir until the egg is well mixed in. Pour a large scoopful of mixture into pan. Flip when top of pancake is dry. Continue cooking until done. Serve and cook remaining mixture into pancakes.